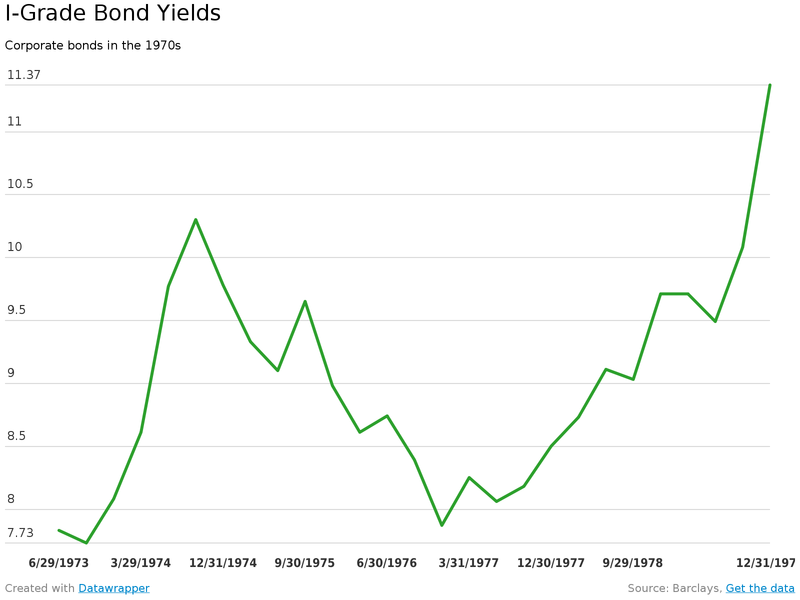 Wouldn’t it be great to get 10% on a corporate bond again? Then again, the inflation rate was 11%. This post is really just an excuse to use Datawrapper. Here’s the interactive version. This entry was posted in Corporate debt, Corporate finance, Credit markets, Data, Uncategorized and tagged Consumer price index, Deflation, Economy of the United States, Inflation, Inflation rate. Bookmark the permalink.